From "The Shrug" to "The Flu Game," from retirement to unretirement, Michael Jordan's career can fill volumes with highlights and moments and great plays. As MJ approaches his 50th birthday on Feb. 17, we put together a list of MJ's 50 greatest moments. This is part 3 featuring the top moments ranked 30 to 21. You can also see the 50 HD Michael Jordan Wallpapers. 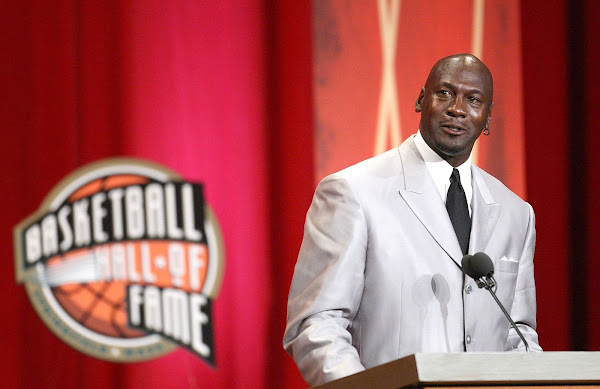 Jordan reminded us just how competitive he really is during his Hall of Fame induction speech in Springfield, Mass., on Sept. 11, 2009. In between jokes and tears, Jordan called out seemingly everyone in his past who ever doubted him, basically thanking them for motivating him on the court throughout his career. He also couldn't resist taking a shot at former GM Jerry Krause, who once claimed organizations win championships. Jordan reminded everyone that it's players like him who win titles. In the 1998 Eastern Conference finals, the Indiana Pacers took the Bulls to their only seven-game playoff series during their championship runs. The Bulls survived with an 88-83 victory despite Jordan finishing with 25 points on 9-of-25 shooting and going scoreless for the last seven minutes. The Bulls' defense clamped down late, holding the Pacers scoreless over the final 2:05 to ensure a sixth trip to the NBA Finals in eight years. 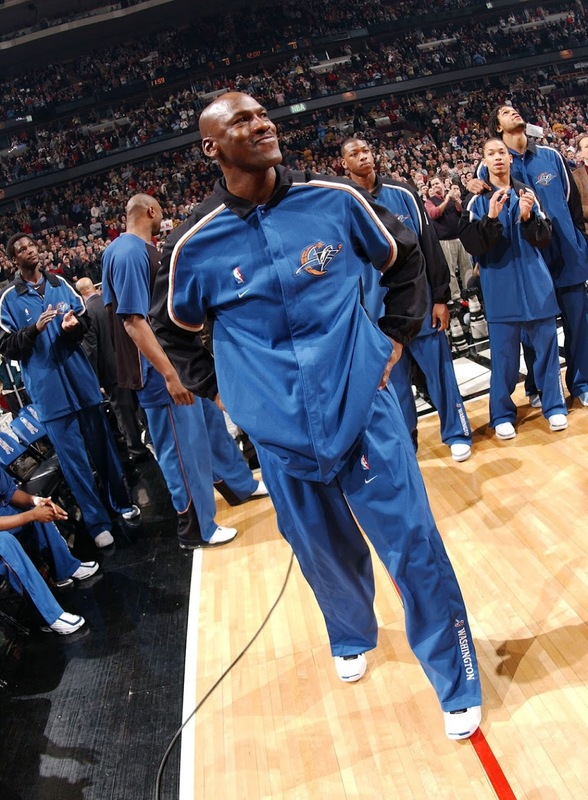 A 39-year-old Jordan returned to the United Center for the first time as an enemy, leading his Wizards into Chicago on Jan. 19, 2002. Fans gave him a three-minute standing ovation. "I had a tough time playing against Chicago. It's like playing a relative, in a sense. It's not as intense, you're not quite as motivated," said Jordan, who scored just 16 points on 7-of-21 shooting along with a career-high nine turnovers in a 77-69 victory. 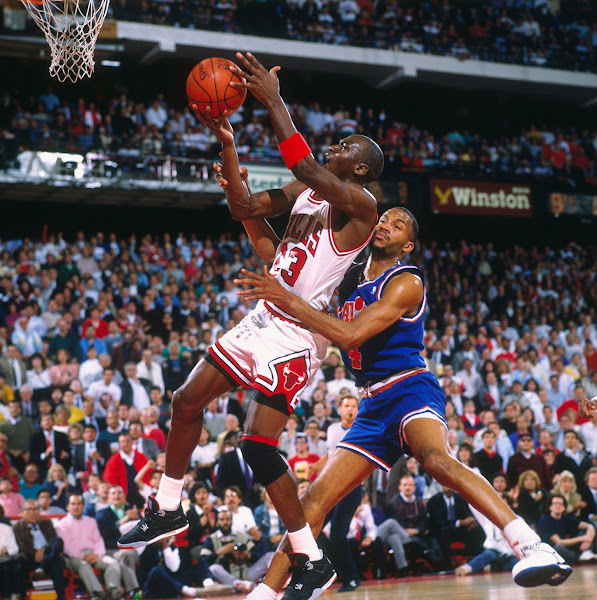 Jordan scored a career-high 69 points in a 117-113 victory over the Cavaliers on March 28, 1990. He played 50 minutes in the overtime win, connecting on 23 of 37 shots from the field and 21 of 23 free throws. 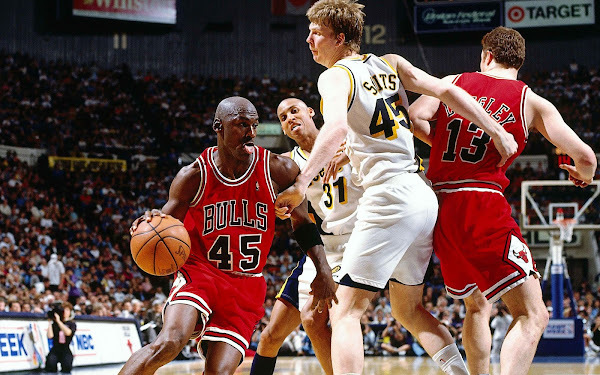 Lost in the scoring were 18 rebounds by Jordan, a career high at the time. Although Jordan didn't win another national championship after his freshman season, he earned plenty of individual honors over the final two. He was an All-American as a sophomore and again as a junior, when he won the John Wooden Award as the national player of the year after averaging 19.6 points a game. 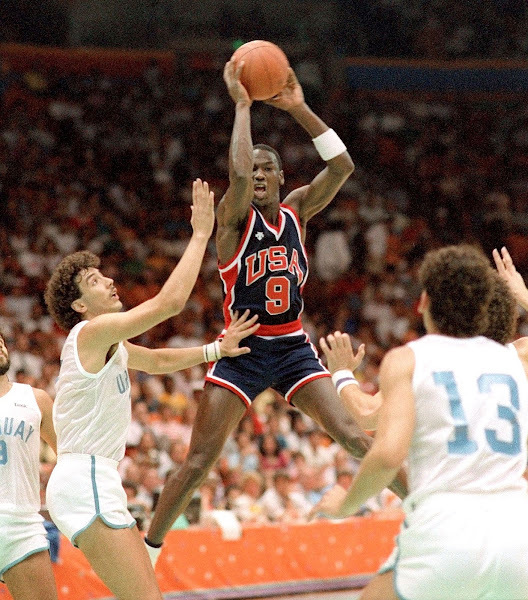 Newly drafted by the Bulls, Jordan joined future NBA players Patrick Ewing, Chris Mullin and Wayman Tisdale to lead the U.S. to an 8-0 record and a gold medal at the Olympics in Los Angeles. Jordan led Team USA with 20 points in the gold-medal game, a 96-65 win over Spain, and averaged 17 points in his first Olympic Games. After leading the Bulls to six titles in eight years, Michael Jordan announced his retirement from the Bulls on Jan. 13, 1998, saying he was "99.9 percent" certain he would not play basketball again. That all changed three years later. 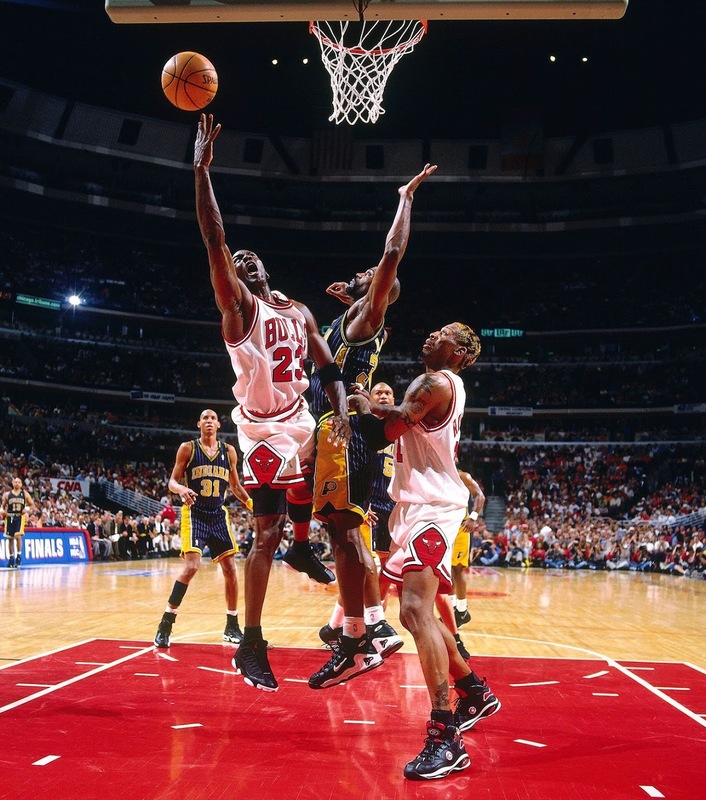 Jordan decided to make his first game back from his baseball hiatus on the road in Indianapolis, instead of having the media circus magnified at home in the relatively new United Center. With No. 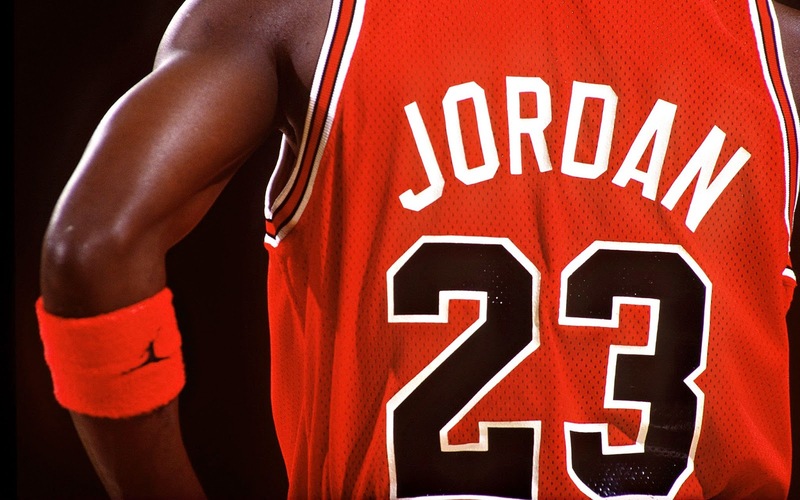 23 retired and hanging from the UC rafters, Jordan wore No. 45, which was his number with the Birmingham Barons baseball team. Jordan was a little rusty in his first game back, connecting on just 7 of 28 shots in a 103-96 loss in OT. But it didn't take him long to regain his touch. The Bulls had finished 27-55 in the 1983-84 season, earning them the No. 3 pick. Jordan immediately made an impact by leading the Bulls to a 38-44 record and a postseason berth for the first time since 1981. 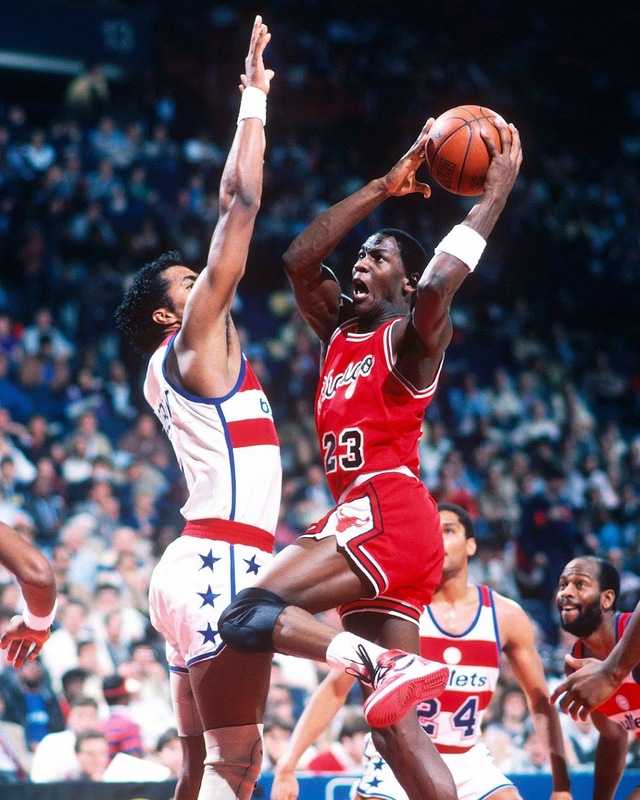 He started in the 1985 All-Star Game and set a franchise rookie record with 49 points against the Pistons. 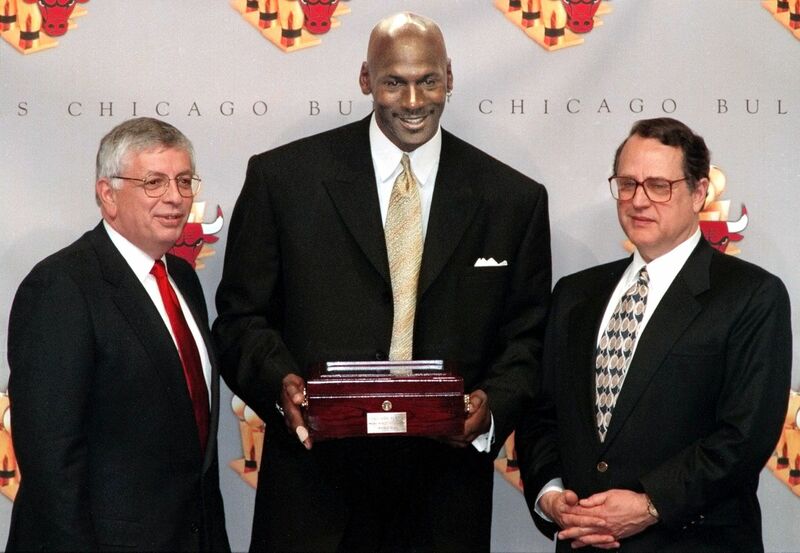 He averaged 28.2 points, which was third in the league, en route to winning the Rookie of the Year award. With Clyde Drexler and Jim Paxson already on the roster, Portland needed a big man more than a wing when it picked second in the 1984 draft. 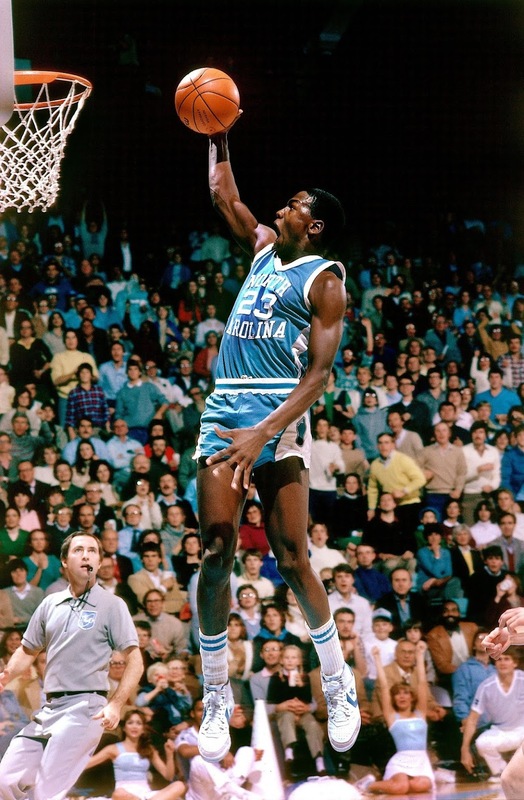 Hakeem Olajuwon went first to Houston, so the Blazers picked Sam Bowie at No. 2. 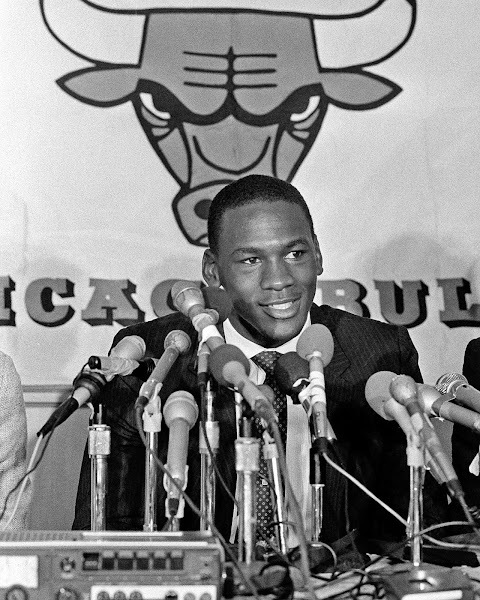 That left North Carolina's Michael Jordan on the board for the Bulls, who picked third. It turned out to be a historically fortunate draft day for Chicago.